Latest version : package file with modified date : 03/08/2018 10:31 PM. Please make sure you have the latest version. 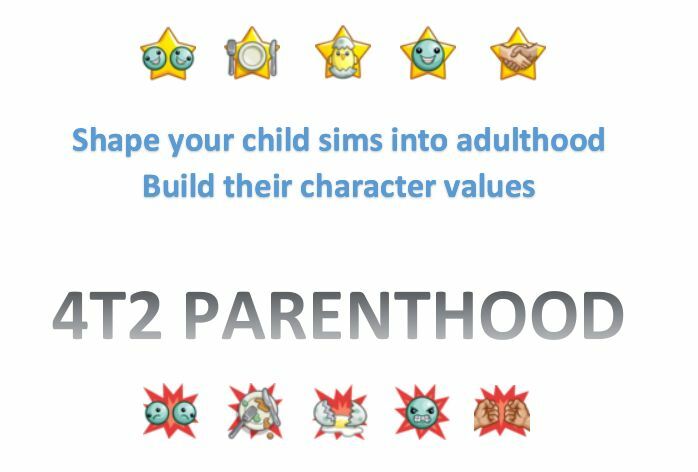 Shape you child and teen sims into adulthood, build their character value. Give them advice, defend or protect them when they get problems. 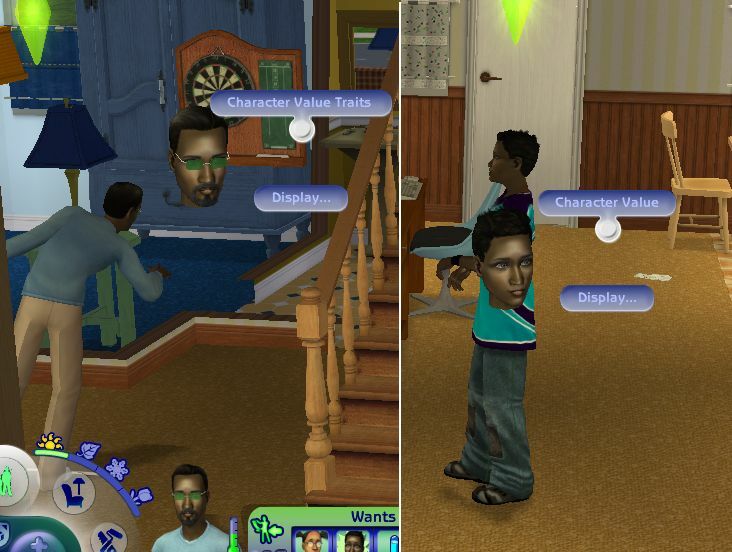 From part of The Sims 4 Parenthood gamepack, comes to The Sims 2. Your Sims' children's personality will depend on your decision. (02/19/2018 01:40 PM) Fix bugs that prevent your toddler sims to grow up if they have potty trained, teached to walk or teached to talk due to unknown BHAV when I try to make this mod to be compatible with inTeen It affects both non-inTeen and inTeen user so you have to re-download the newest version (modified date 02/19/2018 01:36 PM or newer). Very very sorry guys. 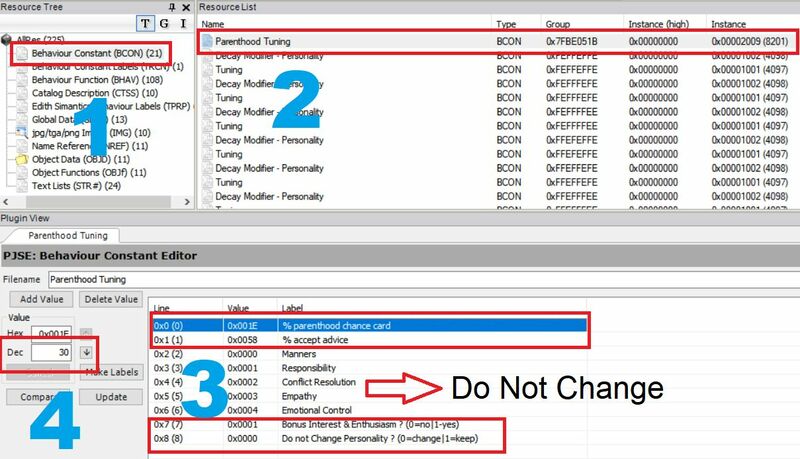 (02/19/2018 01:40 PM) Fix bugs when calculate parent-child relation sims that make your child sims reset after choose a chance card (fixed in version with modified date 02/19/2018 01:36 PM or newer). (02/19/2018 08:25 PM) NOT a bug-fix. Just adding one notification said "Thanks for the advice! The advice is affecting <sim name>'s personality and character values." after giving adviced if the advice is accepted by the sims. It adds one more line in STR# [text list] (line 0x00E5, Group 0x7FBE051B, instance 0x0012D) in both "pqw_parenthood.package" and "pqw_parenthood_plugin_02_localization.package". (02/20/2018 11:03 AM) Add LTR relationship checking between parents and children when the sims decide whether they will accept the advice or not. Also fix where previoulsly character value traits is not calculated when teens grow up to YA only happens when the sims move into dorm (somehow, I always associate young adult with dorm. sorry guys for this false logic). Manners, Responsibility, Conflict Resolution, Empathy and Emotional Control. This mod will affect child and teen sims, both orphan or has at least 1 living parent. Your sims need advice : You can give them advice with one of three choices given. 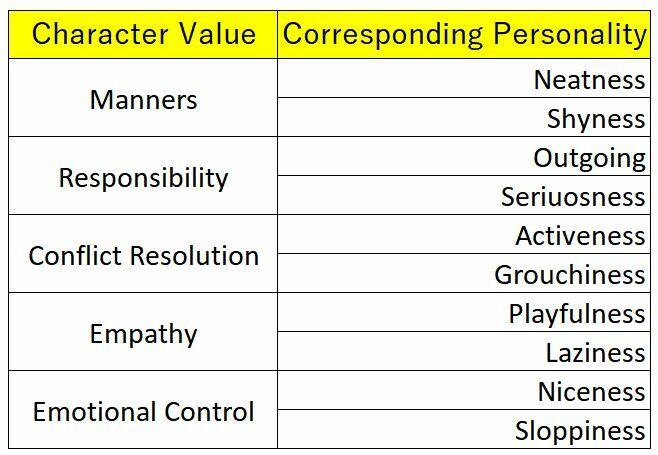 Each advice is corresponding with increment of one character value and decrement of one character value, that will not only change your sims' character value point, but also change their personality based on corresponding character value, that explained in picture 5. Also there is a chance of enthusiasm and hobby bonuses. An advice can raise your sims' manners and decrease their emotional control thus will raise their neatness alot and decrease the niceness and outgoing value, while other advice can raise the responsibility and decrease conflict resolution thus will raise outgoing and niceness but decrease playfulness and activeness. Which character values that are affected by a choice is mostly same with the sims 4 character value chance card configuration. Please note : BUT your sims sometimes decide not to follow your advice and choose other choice than your advice. Mod default setting is 12% chances that your sims will not follow your advice. This value can be decrease if your sims has good relationship with at least one of their parents, and can increase if they has bad relationship with all of the parents, if they have living parents. Your Sims' school calls : Same as "your sims need advice", except the school will always follow your advice. When your toddler sims grow up to child sims, they will be given character values based on their personality, plus random character value bonuses if they finished their potty training, can talk or can walk, but will not affect personality point. If you installed "Prom + After School Activity" mod, your sims will also get random character value point if prom or after activity event is occured, but will not affect personality point. If you installed "Mood Swing + Midlife Crisis" mod, any character value chance card result will affect the original personality point and will not affect current mood swing's personality during mood swing, so its effect can be seen after the mood swing ends. Good manners, Responsible, Mediator, Compassionate or Emotional control. If there is two or more character value that have same highest point, it will be randomly picked from one of them. Bad manners, Irresponsible, Argumentative, Insensitive or Uncontrolled-emotions . If there is two or more character value that have same lowest point, it will be randomly picked from one of them. Sims also will have memory based on character value trait that they've gotten. If Sims has zero in all of character value point, they will not get a character value trait when they grow up. Child or teen sims can check their current character value point by click on themselves, choose display and click character value. Adult sims can check their character value traits by click on the adult sims, click display and then character value trait. Hopefully, more plugins for this mod with more benefit of character value traits will be release in the future. Just put my mod in Downloads folder of your sims 2 data. If this mod does not work, try to change the load order, like rename my mod to "z_pqw_parenthood.package". For inTeen user, please download plugin_01 for compatibility purpose. If you also have "pqw_mood_swing.package" installed, then you MUST also download "pqw_parenthood_plugin_00" in order to both of these mods to work. DO NOT install "pqw_parenthood_plugin_00" if you do not have "pqw_mood_swing.package" installed, since it will give you a lot of errors. This mod should be load after "pqw_afterschoolactivity.package", "pqw_afterworkactivity.package", and "pqw_mood_swing.package" and their plugins if any. If you do not change the name of those packages and this package, then it should be just fine, as it complies the load order. 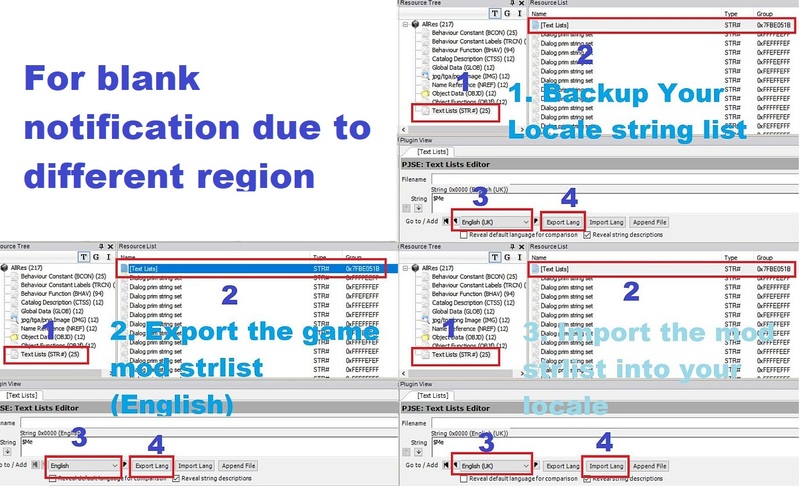 If you want to set your own setting, just open your package using SimPE. Open resources as shown in picture number 5, and change the value (from 0 to 100), commit and save. 146 people have said thanks to piqiwi for this download.